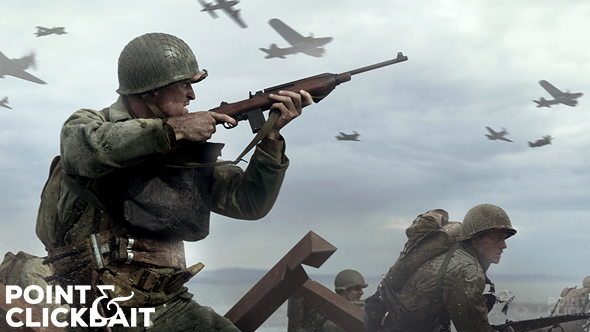 Activision are standing firm in the face of angry player feedback from the beta test weekend of Call of Duty: WWII, claiming that the new ‘Centrist’ multiplayer mode is working as intended despite Nazis always winning. The controversial new mode is coming under heavy criticism for the way that it forces all soldiers on the Allied side to approach every Nazi soldier and open up a dialogue with them, prior to any combat starting. Once each individual Nazi has been fully interrogated as to their beliefs, motivations and values in an extensive 30-minute conversation, the Allied player must then attempt to debunk them through a series of ‘reason and logic’ quick-time events. If the Allied player succeeds at the debunking phase, the Nazi player is removed from the game — but if they fail, the Allied player is converted to a Nazi and joins their team instead. While this whole mechanic might sound like a reasonable foundation for a thriving democracy so far, what really has the pro-gaming community riled up is that Nazi players have no such restrictions and can just shoot anybody with their guns at any time. For their part however, Activision says that players just need to “give the Centrism experiment more time”. “We’re confident that the Centrist mode will deliver great results,” said an Activision spokesperson in a statement.